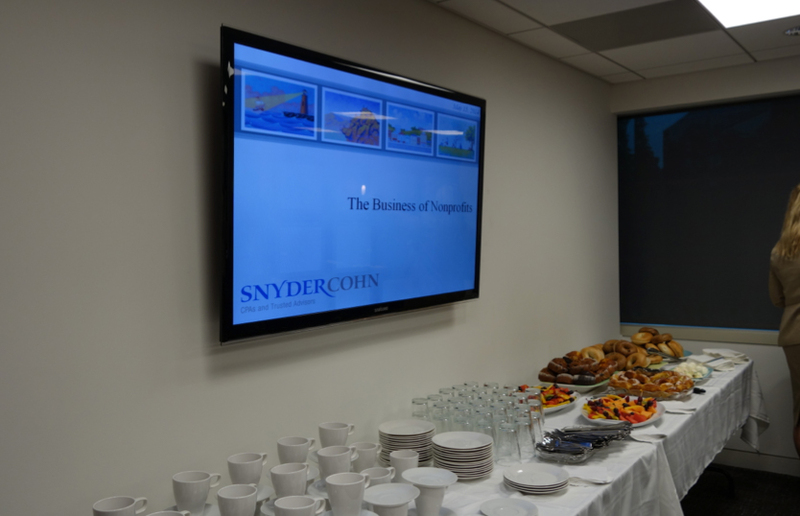 Snyder Cohn, a CPA and business advisory firm, has served business owners and executives as well as nonprofit organizations since 1927. To continue its legacy of success, Snyder Cohn turned to Verasolve for a fresh marketing campaign designed to generate qualified prospects and increase closing rates in the nonprofit industry—one of its target markets for 2014. First, Verasolve helped Snyder Cohn develop new marketing collateral specifically tailored for each of its target audiences (healthcare, government contracting, media and publishing, etc.) and each of its primary service areas (business advisory, succession planning, etc.). Verasolve worked with an illustrator to create custom illustrations that demonstrated Snyder Cohn’s expertise and perspective. The illustrations now serve as the centerpiece of all of Snyder Cohn’s marketing efforts. By avoiding the stock photography that so many of its competitors employ, Snyder Cohn stands out from the crowd. Second, Verasolve created a comprehensive list of over 1000 decision makers of local nonprofits that fit the size and revenue requirements laid out by Snyder Cohn. Verasolve then launched a drip campaign that targeted these decision makers in order to make them familiar with Snyder Cohn and its services. Direct mailing of a newly created nonprofit brochure (featuring the new illustrations) that showcased Snyder Cohn’s nonprofit expertise and past performance with nonprofits. Email campaign that shared articles published by Snyder Cohn’s leaders in nonprofit trade publications. Verasolve worked with Snyder Cohn to draft three nonprofit-centric articles that were published in outlets that reach the nonprofit community. Topics included mitigating risk of fraud, running your nonprofit like a for-profit business, and building an effective board of directors. 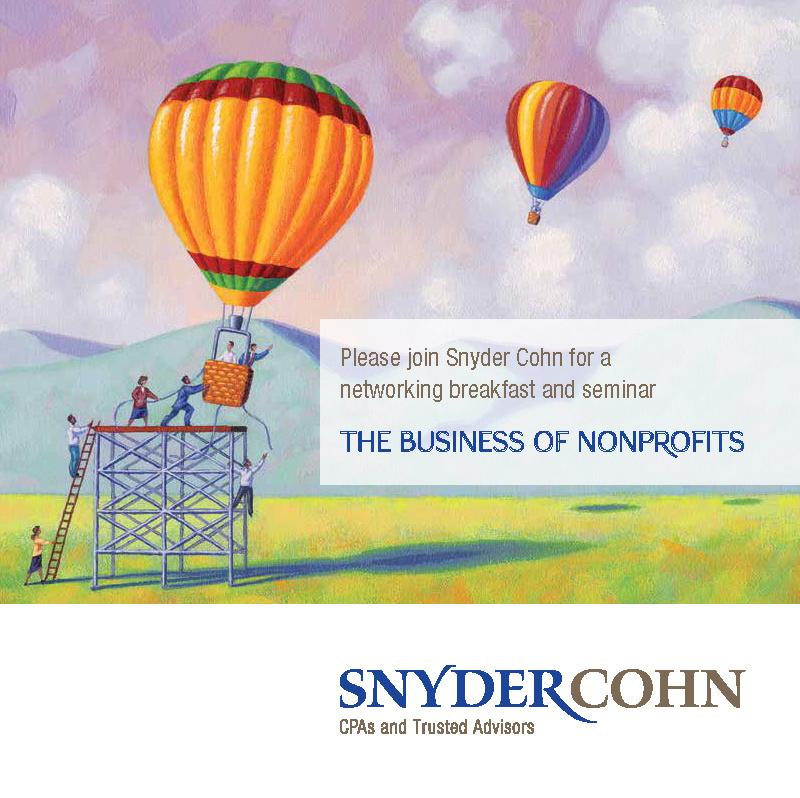 Save the Date and subsequent formal invitation for a nonprofit seminar hosted at the Snyder Cohn offices. The seminar shared best practices regarding a number of pressing topics for nonprofits and associations, including building an effective board, responding to HR challenges and implementing effective internal controls. As a result of Verasolve’s drip campaign, Snyder Cohn’s nonprofit seminar was a huge success. Registration reached capacity, and over 40 leaders from local nonprofits attended the event.